Compare the Life Smart Luna to any major brand on the market, and you will find that not only do our spas offer equal or better accessories and comfort, but we manufacture the most sturdy shells in the business. 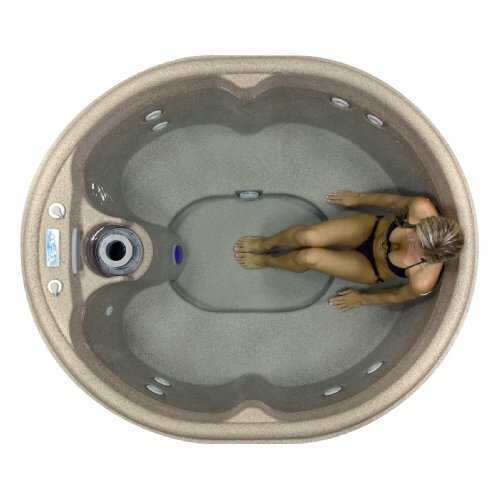 The Lifesmart Luna has the same standard parts and features as any name brand hot tub – such as Topside Controls, Interchangeable Jets, Top-loading filters. We also feature our highly indestructible Rock Solid™ Shell. The Lifesmart Luna is a 110volt Plug & Play spa. This feature avoids the high cost of hot tub installation. Simply set it up, fill it up and plug it in. Only Lifesmart use ECO SMART technology, the highly efficient energy management system built into every Lifesmart Luna spa Lifesmart Spas require less energy and deliver better performance than any other hot tubs in their class this is due to our full foam insulation system and a thick energy saving spa cover designed to save you money on operating your spa so all you do is enjoy. The Lifesmart Luna Spa has a deep bucket seat complete with rotating back jets, a waterfall and foot well jets included. There are top side comfort valves that allow you to find the perfect mix of air and water for the perfect massage. The Luna also features a top side digital command center and features a spa light with interchangeable mood lens caps. Add the Lifesmart Luna to your backyard today and enjoy the luxury you deserve.